Inside these beautiful resin glands are cannabinoids and terpenoids. Marijuana gets us high and has medical benefits because it contains hundreds of compounds that affect our bodies and minds. The main categories of compounds we care about are cannabinoids and terpenoids. Cannabinoids provide us the primary marijuana high, and some medical benefits. Marijuana is the only plant that produces some cannabinoid compounds. Terpenoids provide us the taste and smell of marijuana. They also interact with and moderate the effects of cannabinoids, and they have their own medical benefits. As we explained in our article about new types of solo cannabis extracts, there are different molecular versions of solo cannabinoids. For example, there’s not just THC—there’s THCA and THCV. You get different results consuming cannabinoids via combustion or vaporization than you do consuming it via raw juicing. If you use combustion or vaporization to consume an extract containing only THCA, you get a different high than if you consumed THC the same way. If you consume cannabinoids without consuming terpenoids at the same time, you get a different high than if you consumed cannabinoids and terpenoids together. If you consume cannabinoids and/or terpenoids via marijuana medibles, you get a different high than consuming those same cannabinoids via combustion or vaporization. Delta-9 THC (Tetrahydrocannabinol): This is the primary cannabinoid that gets us high and used to rate the potency of marijuana. Delta-9 THC has many proven medical benefits. It fights tumors, pain, nausea, spasms, glaucoma and other medical problems. Delta-9 THC is created when you heat buds. Before heating and drying, it exists in an acid form called THCA (Tetrahydrocannabinolic Acid). THCA: This is the acid-form precursor to Delta-9 THC. It exists in your marijuana plants as they’re growing and before harvest, but starts to degrade after harvest. As your buds dry and cure, and when you process or heat them THCA is molecularly changed to become Delta-9 THC. Advocates of raw cannabis juicing claim that THCA provides unique powerful medical benefits, mainly experienced as control of anxiety and spasms, without getting you high. If you combust or vaporize a pure THCA extract (read here), you get a different high than if you combust or vaporize THC. THCA as an extract is quite unstable and degrades not just because of heat or light as is the case with THC, but in the presence of oxygen. THCV (Delta-9 Tetrahydrocannabivarin): This is a precursor of Delta-9 THC found in very high concentrations in Sativa cannabis strains. 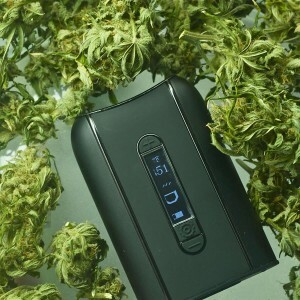 When you heat or process THCV, it turns into THC. Medical benefits include relief from spasm, tremors, neurological disorders, diabetes, and as an appetite REDUCER. This is why some strains of Sativa cannabis don’t produce munchies, while Kush, Indica, and Afghanica have low levels of THCV and do produce appetite enhancement. 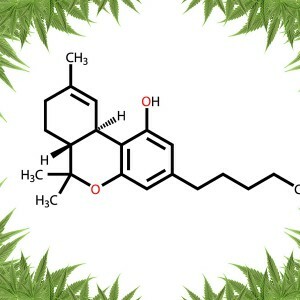 CBD (Cannabidiol): This is the second best known cannabinoid, the one most of us have heard of other than THC. High levels of CBD are indicative of Ruderalis genetics, inferior Indica, hemp, ditchweed, and good cannabis that’s been exposed to heat and light and then gone bad. Like THC and THCA, CBD also exists in an acid form as CBDA. It also exists as CBDV (Cannabidivarin). CBD and its analogues in excess will stop the effects of THC and your high, but they do have a wide range of medical benefits. It can fight nausea, epilepsy, nerve damage, inflammation, diabetes, chronic pain, convulsions, microbial infections, and other medical problems. It’s good to know that marijuana medicines such as THC and CBD are far safer than the pharmaceutical drugs they compete with, and in most cases they’re more effective too. CBN (Cannabinol): If you see high levels of cannabinol in a lab test or strain report, you have to wonder if the sample has been mishandled and degraded. That’s because CBN is barely present in whole cannabis before curing and drying. It’s mostly created when THC in cannabis is exposed to heat or light (especially ultraviolet light), and degrades first to CBDA and then to CBN. CBN has no known medical benefits at present. It binds to the same neuroreceptors that THC binds to, but it doesn’t get you high. If you see more than .45% of CBN in a lab report on a strain, and THC below 14%, that strain is likely a dud. 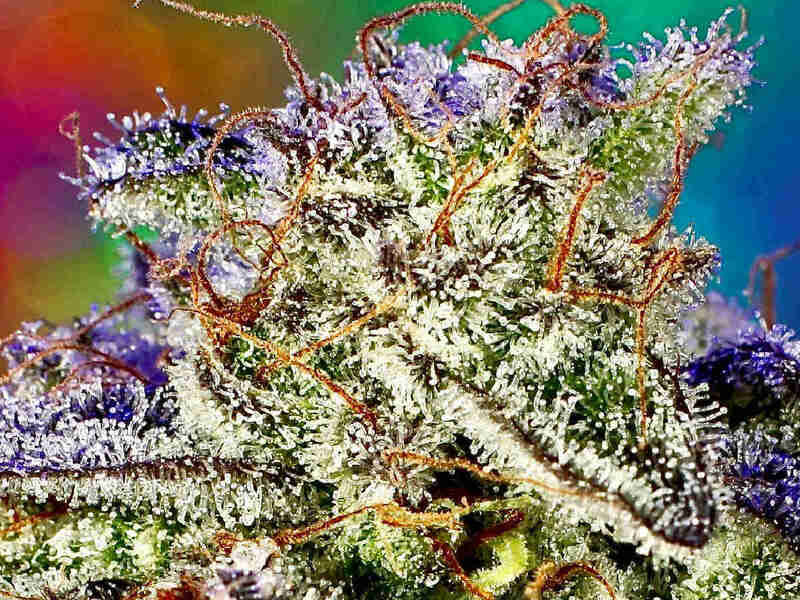 THC is still the most important compound in marijuana. CBD is valuable as a medicine but it lowers your high. CBN is virtually useless. The less of it in your buds, the better! If you want the best high and the highest money value for your crop, select strains that produce lots of THC, and then dry, cure, and store them properly so they retain as much THC as possible for as long as possible. If you can make or procure single-cannabinoid extracts such as THCA, you’ll enjoy the difference between THCA and THC. If you want to push your marijuana plants to produce their highest level of cannabinoids and terpenoids, give them an ideal environment, pH Perfect nutrients and supplements (especially Bud Factor X), and high doses of UV (ultraviolet) light. Does Marijuana Have Plant Consciousness?